Slide 1. 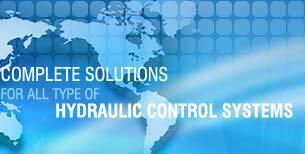 Leading Hydraulic Equipment Manufacturers. Slide 2. 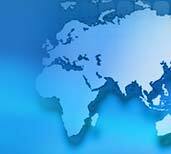 About Us Established in 1992 An ISO 9001:2000 certified company Dedicated engineers & skilled workforce Products available in different sizes & capacities . Slide 3. Applications Dismantling of old tanks Repair to tank foundation Erection of other circular structures Building of field erected storage tanks Repair or replacement of tank bottom plate Increasing tank capacity by adding shell rings or courses . Slide 4. Products Hydraulic Jacks . Slide 5. RSC-Series, Jacks RSSM-Series, Jacks Single Acting Jacks . Slide 6. RSCS-Series, Jacks CSLS-Series, Jacks . Slide 7. CSLL-Series, Jacks RSCH-Series, Jacks . Slide 8. RSRH-Series, Jacks RSR-Series, Jacks Double Acting Jack . Slide 9. RSAC Series, Jacks . Slide 10. Contact Us Bell Hydromatics Mr.Ramesh Havannavar Bell House, No. 82-F, Multani Mansion, Naigaum Cross Road, Dadar East Mumbai - 400 014, Maharashtra www.tankjackingequipments.com VIEW FULL CONTACT.